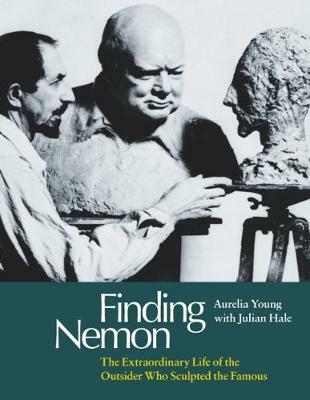 Aurelia Young is the first biographer of sculptor Oscar Nemon (1906-1985), the unknown artist behind some of Britain's most iconic statues. One of the 20th century’s great sculptors, as testified by his iconic portraits of elder statesmen and major figures displayed all over the world, Nemon’s life began in humble origins as a Jew in modern-day Croatia, fleeing from the Nazis to England where he made a life and career with his British wife Patricia. Join Aurelia for this very special lunchtime illustrated talk as she tells Nemon’s life, how The Queen nicknamed him the `missing Oscar' and how Nemon became the subject of the only attempt at sculpture by his friend Churchill, who posed for many likenesses including a monumental bronze in the House of Commons. There will be the chance to ask questions, followed by a book signing. All welcome! 'Aurelia Young has learned a vast amount about her father... He remained elusively both outsider and insider, arguably a position occupied by many of the best artists but deeply painful at times.' – Anne Seba. Numbers strictly limited, please book promptly to avoid disappointment. Tickets are £5/3 (students). Book online, in store or by phoning 020 7636 1577.